20% off make-up for students! Students: you know what to do. Have you heard? 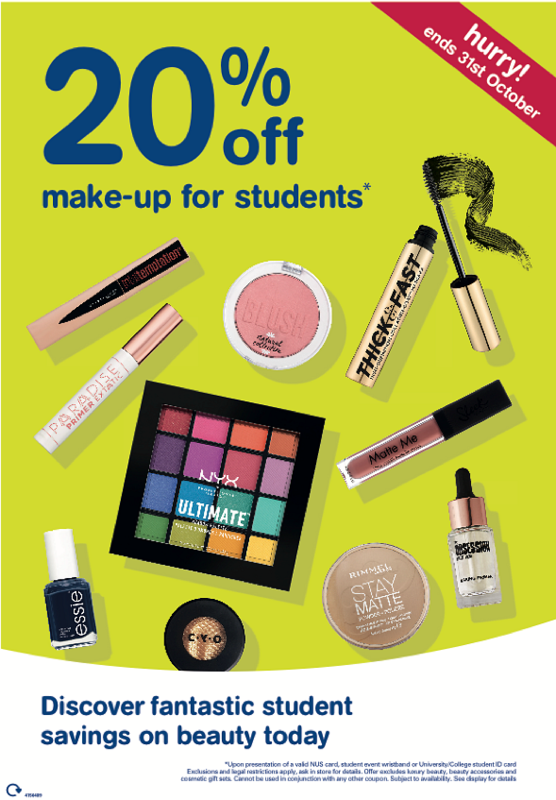 Right now, Boots is offering all students with a valid NUS card or university or college student ID 20% off on cosmetics until 31 October! This also includes NYX and No7 products, so if your make-up bag needs a bit of a face-lift, head to Boots on the high street (Fargate) for a fantastic saving on all the best products that make you look and feel fabulous. For more information and to see which products are included in this offer, ask in store for details. Offer excludes luxury beauty, beauty accessories and cosmetic gift sets. Cannot be used in conjunction with any other coupon. Offer ends 31 October.